Are you scrapped for time? Do you have to try and make every minute count ? 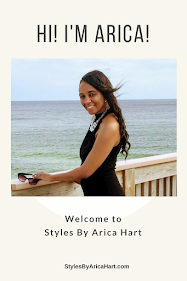 Here are 3 fabulous styles that will have you up & out the door before you know it. 1- This glamour lady has completely natural hair. She is rocking a protective style which consist of cornrows secured into an elegant mohawk. 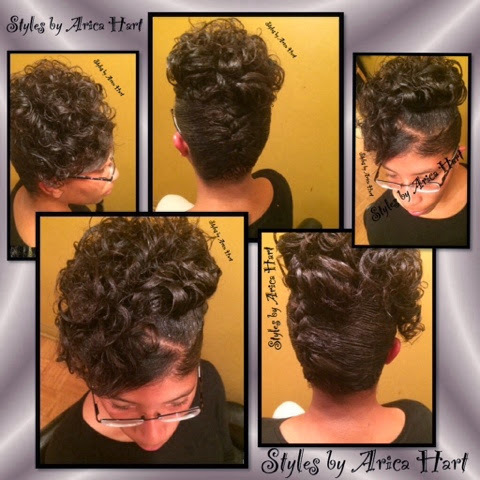 You can be up and ready to go with less preparation time; whether, you are natural or relaxed with this fabulous style. This is a " No mess" hair style. You can go to bed with no mess & wake up with no mess, but keep it neat & maintained ladies!! 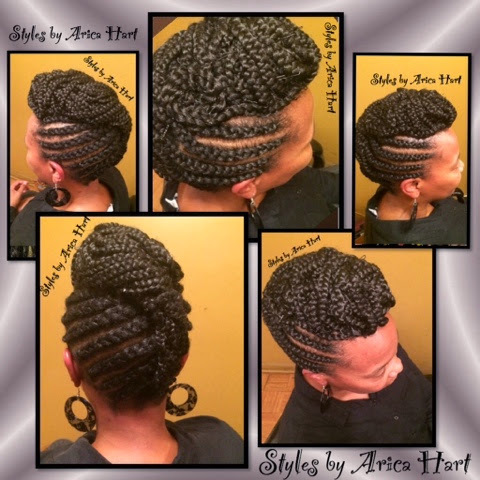 2-This glamour lady is rocking a sophisticated Up-do with her beautiful, relaxed tresses. She has a touch of curls cascading over the crown of her head, gracing her face with elegance. You can put on your "GO GET IT GIRL OUTFIT" & be ready for your dinner date or a relaxing day in jeans. Either way, you will be turning heads With this style. Why spend all your time trying to get your hair right, when you can wake up with a beautiful hair style to go with that beautiful smile. 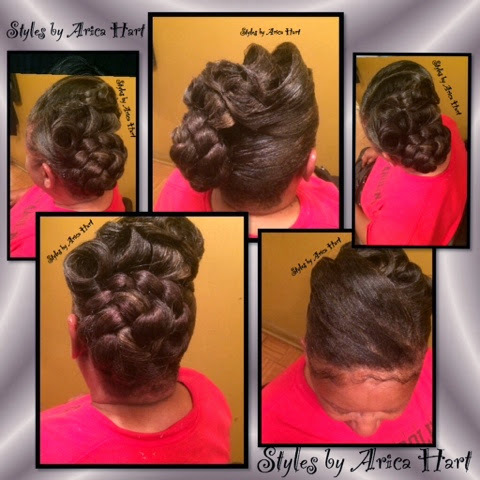 Updo hair "Styles by Arica Hart"
3- This glamour lady is wearing a customized updo hair style. She is sporting a unique hair style filled with ridges and a side donut that will accessorize any outfit she puts on. WHAT ARE SOME HAIR STYLES YOU LIKE OR THINK ARE INTERESTING?